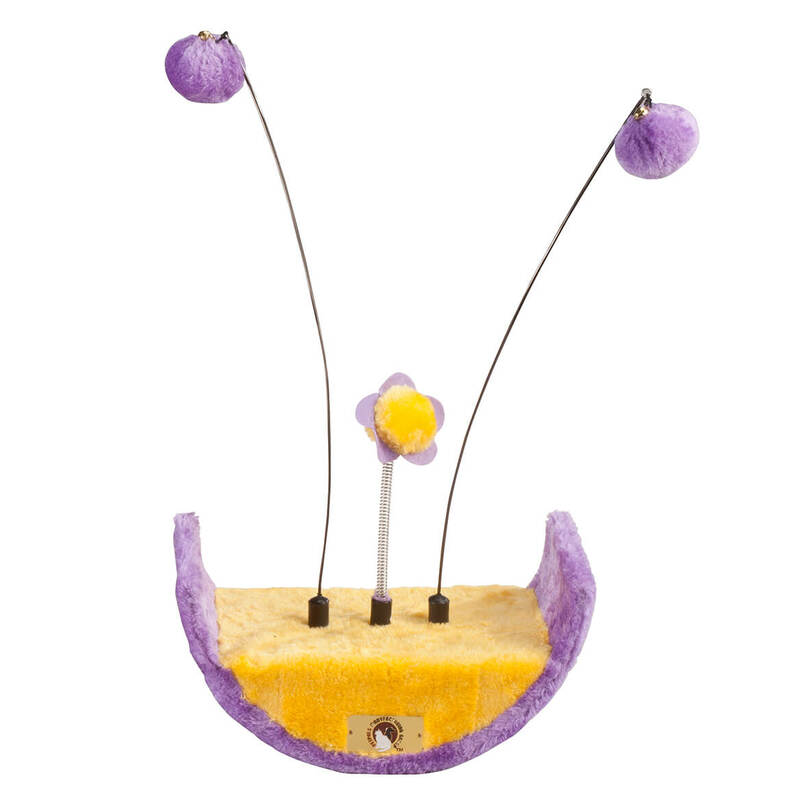 Enticing kitty with teasing balls to swat and bat, this toy’s fun cradle shape keeps the excitement rolling—keeping your cat engaged! Offering active play to help your pet maintain a healthy body weight and keep muscles toned and strong, a toy like this also helps keep kitty’s mind alert and active … keeping boredom at bay. Covered in soft, touchable fleece, the Whimsi Kitty Carnival’s 3 teasing toys appeal to your cat’s natural instincts to stalk and pounce on prey. Designed in fleece; all materials are manufacturer tested using international safety standards. 11″ wide x 6″ high x 6″ deep. Allow 2-3 weeks. No express shipping.